.... And it's a wrap! 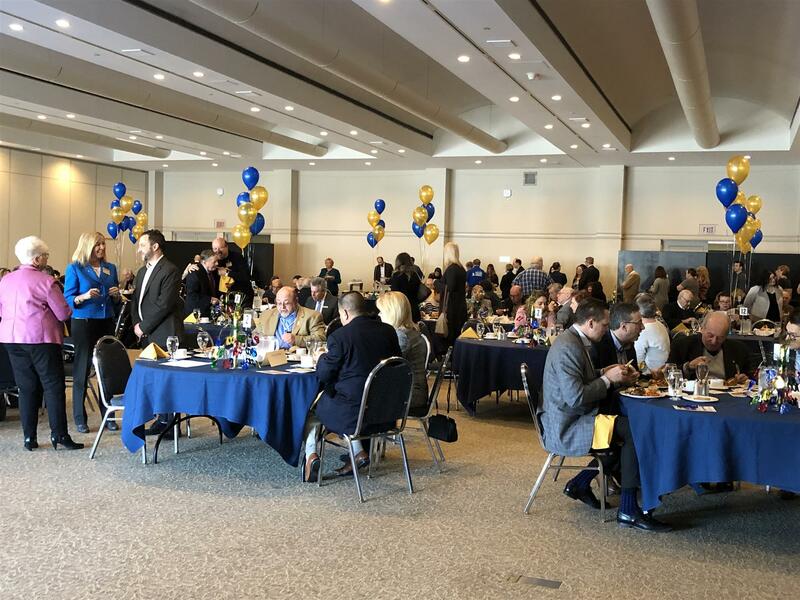 The Grand Finale Luncheon held on Monday, January 14th marked the end of our Club's centennial celebrations. 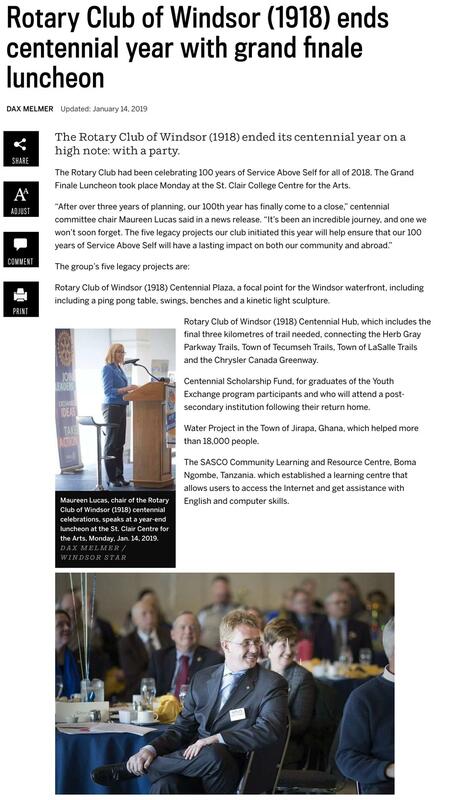 2018 was an incredible year as we reflected on 100 years of Service Above Self and all the projects Rotary Club of Windsor (1918) has been involved in. Past President Colleen Mitchell led the audience through the year's events as well as the 5 legacy projects we tackled in honour of our centennial. Past President and Centennial Committee Chair Maureen Lucas thanked all the Rotarians, partners and friends who helped make 2018 unforgettable, and President Jules Hawkins touched on what our Club will be focusing for the next 100 years.